We are happy to announce that The M.A.D. Girls, Inc. will be partnering with Ciroc, Women’s Wear Daily, and Variety magazines for the 2016 Women’s Empowered Brunch Series. Stay tuned for more info and in the meantime check out what Jordin Sparks likes to eat and drink (or not) for brunch! ICYMI Jordin Sparks & The M.A.D. Girls, Inc.
See us on CNN Heroes tonight! Jordin Sparks, and avid supporter of giving back and The M.A.D. Girls Inc. will be on CNN Heroes tonight! Make sure to tune in! No matter who you are, where you live, or what your circumstance, YOU can make a difference! We encourage everyone to get out and do something positive in your home, in your relationships, and in your community. It’s easy! Put a smile on someone’s face every day. Tag a post with @JordinSparks @themadgirlsinc #CNNheroes #IMAY and let us know on social media how you are M.A.D. this holiday season! We all would love to spread the word and RT! #IMAY = I’m M.A.D. Are You? With all the craziness of this last weekend (Door Busters, Black Friday, Small Business Saturday, Cyber Monday) take a moment to GIVE today. Doesn’t matter how. It can be your time, food or finances. It can be anything. Just be a giver. Carry on this spirit through the rest of the year and make it a habit in 2016! Here’s a video we recorded having fun with Doug E. Fresh in the recording studio after recording the “Everybody” video for HHPH that included Dr. Oz too! Your Support Will Help Fund Our Life Saving Cutting-Edge Multimedia Health Curricula For Under Privileged Children And Expand Our Reach To Schools In New York City And Beyond. September 15, 2015 July 19, 2016 Jodi Jackson Sickle Cell Sux, Who's Making A Difference? It’s that time of year again! To show your support for Sickle Cell Awareness post a selfie with bright, bold lipstick and tag with #boldlipsforsicklecell and #sicklecellsux! For more info you can go to www.boldlipsforsicklecell.com and www.sicklecellsux.com. 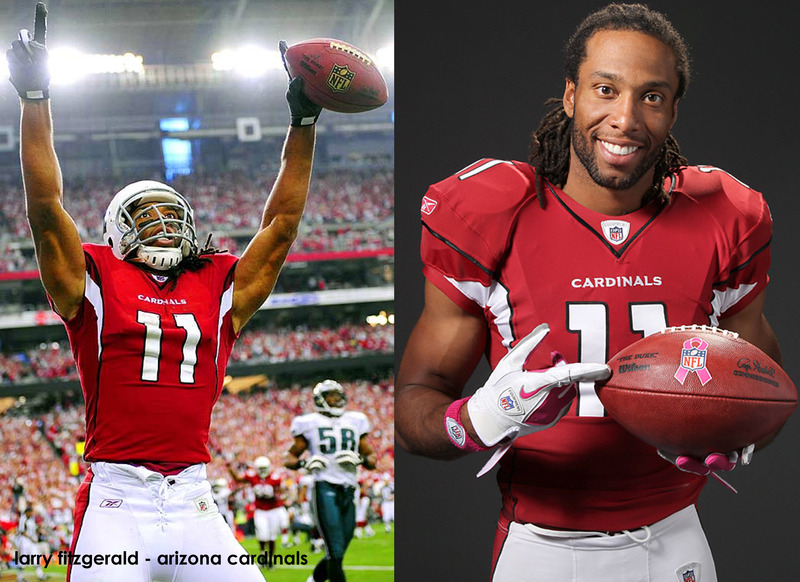 Larry Fitzgerald is giving one lucky fan a trip of a lifetime! Cardinals wide receiver Larry Fitzgerald joins the show to talk about a raffle that will send a lucky winner to the Super Bowl and VIP parties. He talks about how he developed a friendship with Richard Sherman. Larry is making a difference and has been a huge supporter of Jordin & PJ Sparks & The M.A.D. Girls, Inc. Thank you Larry!